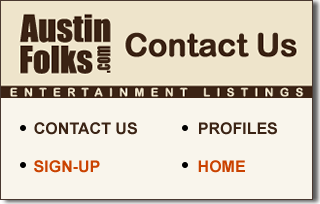 Owner: Entertainment Network Marketing, Inc.
Submissions to AustinFolks.com are welcome from everyone. We enter events throughout the week but must have some lead time because of our workload and schedule. There is no cost to have your events listed.